If you were to take a look at my makeup drawers, you’d see a lot of shimmery, metallic, glittery eyeshadows in there. I love them and always will, but recently I’ve been gravitating toward matte colors. I blame spring and my need to wear a bright pink lip, and matte eyeshadows (with a bold cat eye) provide the perfect backdrop. 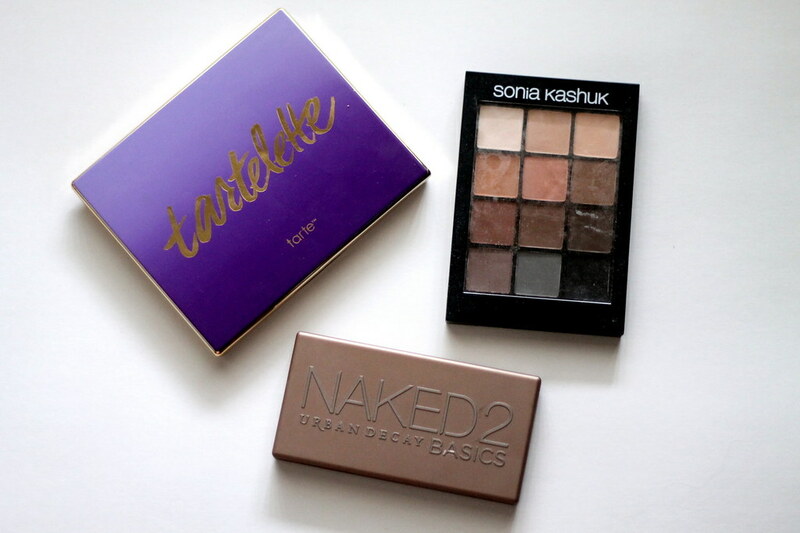 My go-to palette is definitely the Naked 2 Basics. Even though it’s the palette with the fewest options in terms of color, the cool tones really suit my skin tone and look natural. I also love the tartelette palette, and even though I’m not a purple eyeshadow (I find it usually looks weird with my blue eyes), I’ve given every single color in the palette a good go—and the result is stellar. If drugstore is more your scene, Sonia Kashuk’s Eye Couture Eye Palette - Eye On Neutral 02 palette is a steal and is hands down my favorite drugstore palette across the board.